Ever hear a song that just grabs you the first time it hits your ears? The instant connection you feel while thinking you understand exactly what the songwriter/artist/band wants you to hear? While I can easily say I love hundreds, if not thousands, of songs, there are still a few out there that I hear and just think, man, I wish I wrote that song! 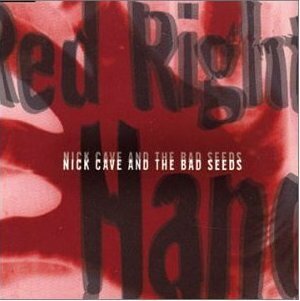 In the first of a new series entitled, “Songs I Wish I Wrote,” I am going to start with Nick Cave and The Bad Seeds 1994’s classic “Red Right Hand” off the Let Love In album. 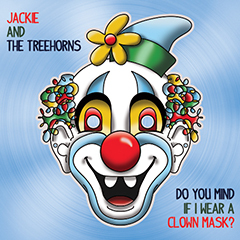 There is a good chance you have heard portions of this song used in movies such as Scream and Hellboy, or the television show The X-Files. With its minimalistic structure and just-creepy-enough musical interlude it’s as close to a perfect piece of you music you can get for a film or show with spooky undertones. Which leads me to early 2005 when a close friend of mine turned me on to Abattoir Blues/The Lyre of Orpheus and suffice to say, I was hooked. I went back into The Bad Seeds catalogue and discovered that I had actually already been enjoying some of their songs that I never realized were his! “Red Right Hand” was the first such song. The musical interlude was instantly recognizable from the Scream movies and there was something about that bass line and beat! It’s a shame we didn’t get it earlier. It’s true, one of the catchiest and instant get-it songs, I’ve heard in a while. Although I wish I could hear a similar song sung about a female character. That would be uber and more relatable. Oh, and I got it from the show Peaky Blinders; Red Right Hand is THE perfect prelude for it.